Self-proclaimed Japanese "Tuna King" and sushi restaurant owner Kiyoshi Kimura paid a record $3.1 million (333.6 million yen) for a giant bluefin tuna at the New Year's auction at Tokyo's Toyosu fish market Saturday. 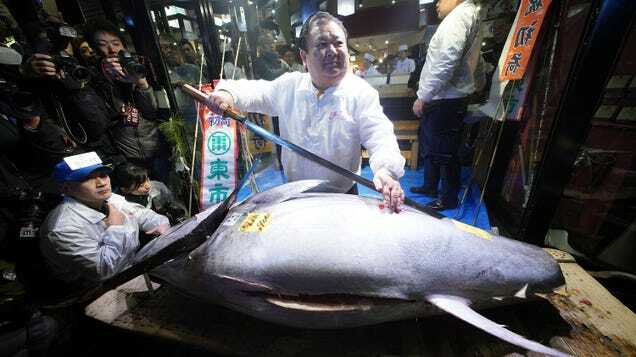 Japan's self-styled "Tuna King" has done it again -- paying more than $600,000 for a single fish. 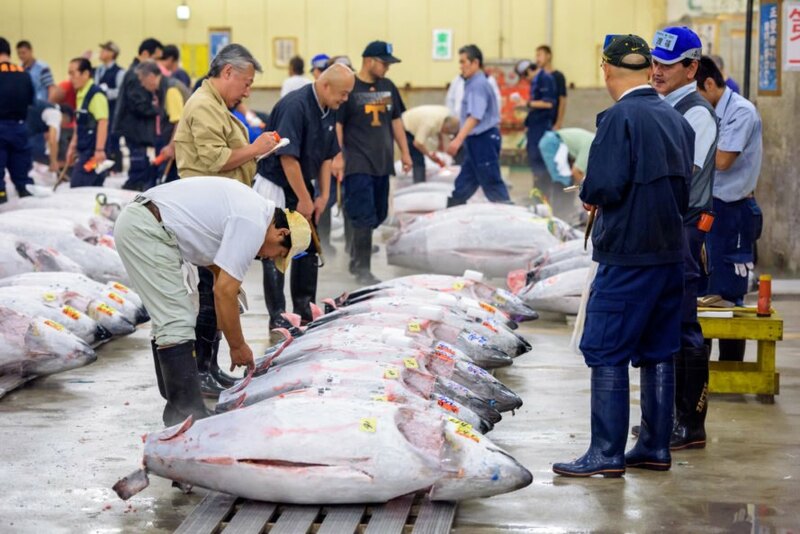 Sushi entrepreneur Kiyoshi Kimura paid top price at the first auction of the new year at Tokyo's Tsukiji fish market on Thursday, bagging a prized bluefin tuna for an eye-watering 74.2 million yen ($636,000). At that price a single piece of fatty tuna sushi would cost roughly $85, or 25 times the $3.4 that Kimura charges for the product at his 51 stores across Japan. Kiyoshi Kimura paid A 80,000 for the 200kg tuna at the Tsukiji market as animal campaigners warned the fish is being driven to extinction A restaurateur has paid a staggering 80,000 for a single bluefin tuna to serve to diners despite repeated warnings the valued fish is being driven to extinction. Kiyoshi Kimura, president of the firm that runs the Sushi Zanmai restaurant chain, paid the princely sum at Tokyo's famous Tsukiji market.